When your driver’s license is suspended in Virginia, your privilege to drive a motor vehicle is suspended for a certain period of time. During this time period, you are prohibited from driving. This means that you cannot drive to work, to go the doctor, to do errands, or to take your children to school or their other activities. If you drive anyway and are caught, you could be charged with driving on a suspended license. This is a misdemeanor offense in Virginia, and you could face serious penalties and a permanent criminal record if convicted—as well as a further prohibition on your right to drive. However, you may be able to fight the charges with the help of an experienced traffic law attorney. When Can Your Driver’s License Be Suspended in Virginia? Your driver’s license can be suspended for many reasons—sometimes for a relatively minor offense like forgetting to pay a small fine. When your license is suspended, you are prohibited from driving a motor vehicle, motorcycle, and any self-propelled machine operated on a road or highway. However, a moped is not included under the law as long as you are driving less than 35 miles per hour. Failing to pay court fines or fees for both motor vehicle or non-motor vehicle-related offenses. Failing to maintain insurance on a vehicle as required by Virginia law or to pay the uninsured motor vehicle fee. Not completing a driver improvement clinic when required to take this course. Failing to pay jail fees. Being convicted of reckless driving and having a driver’s license suspended as part of the sentence. Providing alcohol to an already intoxicated person or a minor. Accumulating an excessive amount of demerit points on a driver’s record for traffic offenses within a relatively short period of time. Having a mental or physical condition that limits the person’s ability to drive safely. Failing to pay a civil judgment related to a motor vehicle accident. What Are the Penalties for Driving on a Suspended License? A third conviction within 10 years comes with similar penalties as a first and second offense, but you would have a minimum 10-day jail sentence. Your license was not actually suspended due to timing or paperwork issues at the time of your arrest. You had no notice that your driver’s license was suspended. For example, this could be an issue if you moved. The police did not have a legal reason—or probable cause—to stop you in the first place. 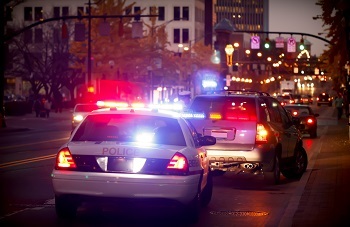 The experienced traffic law attorneys at Greenspun Shapiro PC understand the serious ramifications on your life after being convicted of driving on a suspended license and having a permanent criminal record. We have 80 years of combined experience handling a variety of criminal matters for our clients and are dedicated to thoroughly representing you to achieve the best possible outcome. We can help you fight the charges you face and assist you in getting a restricted license or your license reinstated when possible. Call our office today at 703-352-0100 to schedule your free, no-obligation consultation.